Once you have downsized your life there will be times when an injection of money will help your finances immensely. No one can be sure what the future holds and there may be times when you need to find temporary employment to raise funds for a holiday or essential household bills. Keep in touch with your past employer. There are times when they may need help due to holidays and sickness leaving them short staffed. What better than to hire someone who knows the company and can fit in quickly with whatever task they are given without having to train for a job that will only last a few months? If you have moved away from your home town and retired to the coast you will find that there is a big demand for temporary staff during the summer months. This may be in hotels or seaside restaurants. If you think that you may need to return to work at some time and want to carry on with the profession you were trained in it is advisable to keep up to speed with developments within your industry or skills. Subscribe to any trade magazines that exist and attend training days to keep your knowledge and expertise up to date. It would also help to occasionally take a short term job in your trade to keep yourself familiarised with the work place. Sign on with agencies that specialise in your skills. Make sure that they realise you only want to work on short term contracts and are not interested in a full time mob. If you are new to an area familiarise yourself with local industry and send out letters to those that are likely to hire someone with your skills. 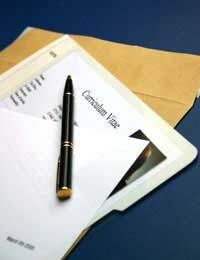 Enclose your CV and advise them that you are interested in temporary employment. You may be pleasantly surprised with the response that you receive as companies are always interesting in knowing they can call upon someone to step in and work for a few weeks or months when they have staffing problems. At Christmas many stores and supermarkets take on seasonal staff to help out during the busy season. It is never too early to contact stores and put your name down for consideration. Some staff find that they are offered permanent work after the busy season ends – who knows you may be interested in returning into the work force full time! With the introduction of online shopping there is a great demand for drivers and pickers during the Christmas period. If you know of a supermarket distribution depot in your area contact them and enquire about temporary employment. Local job centres and employment agencies will also have details of seasonal work. Living in the countryside could mean that there are opportunities to work picking fruit and vegetables during summer months. Contact the farms direct and ask about their staffing arrangements. You may find that this type of work in advertised in local newspapers. Whatever way you earn extra money you must declare it to the tax man. It may be that you are put back onto the payroll and you pay more tax than you expect to. This will be adjusted at the end of the tax year when you complete your self assessment tax return. Will Working in Retirement Affect Your Lifestyle?